This was a really fun Fall meal. I realize a lot of people don’t care for burssel sprouts but this is a wonderful way to prepare them that makes a tremendous meal. 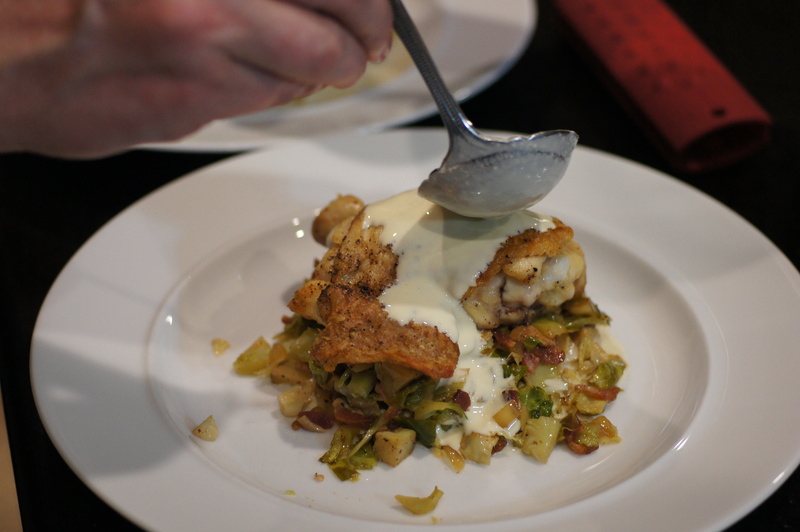 Who knows, once you try this dish you may reconsider your disdain for brussel sprouts. It really is good and my kids (granted they’re all grown now) will even eat this. Cook bacon until it is crisp. Remove from pan. 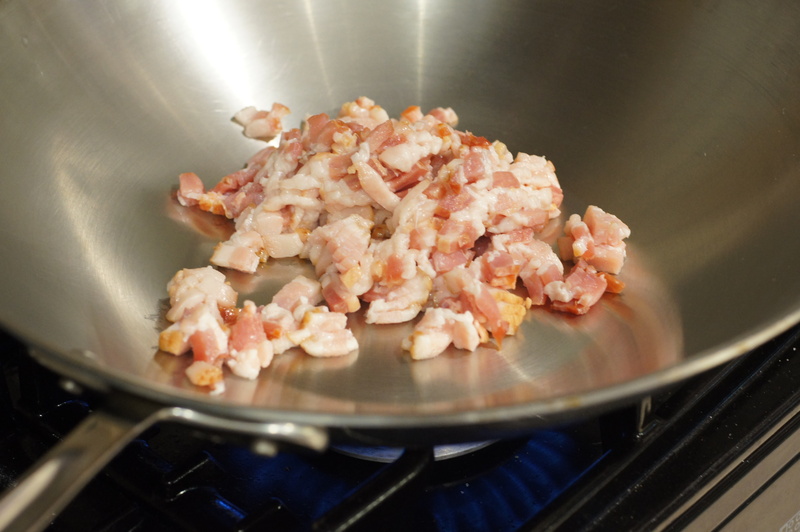 Drain all of the bacon drippings but 1 Tbsp from the pan. 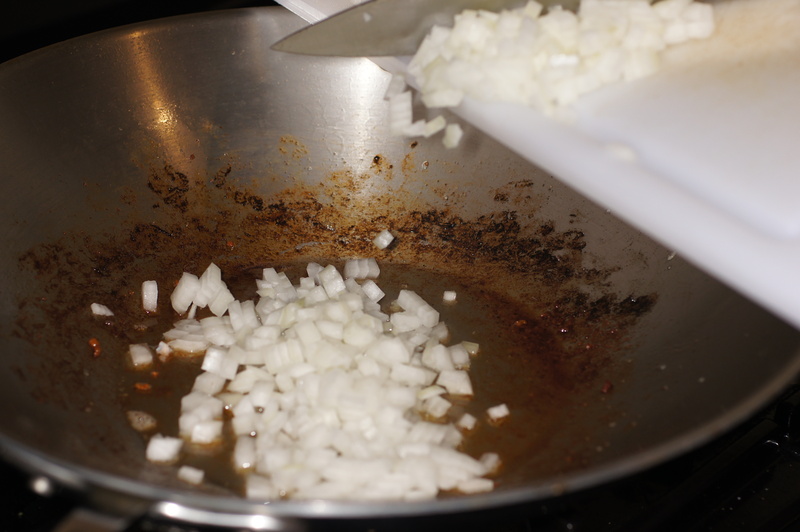 Add the diced onions to the pan. Cook the onions until they begin to turn a golden brown color. 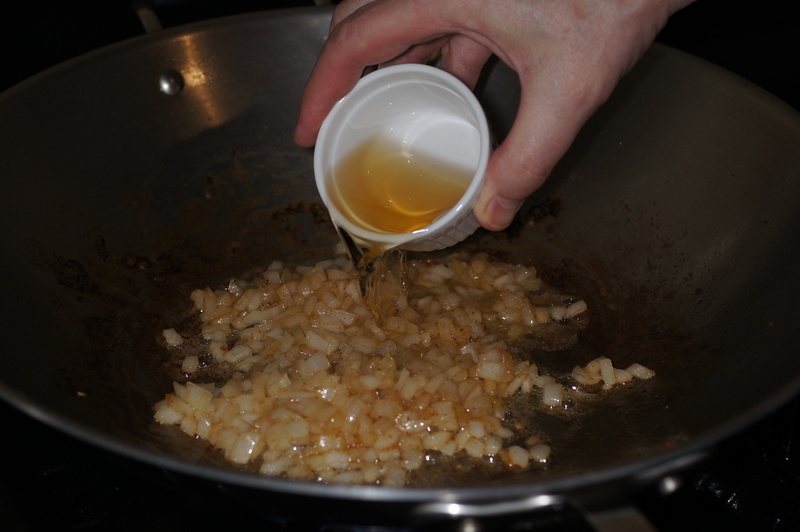 Now add the vinegar. 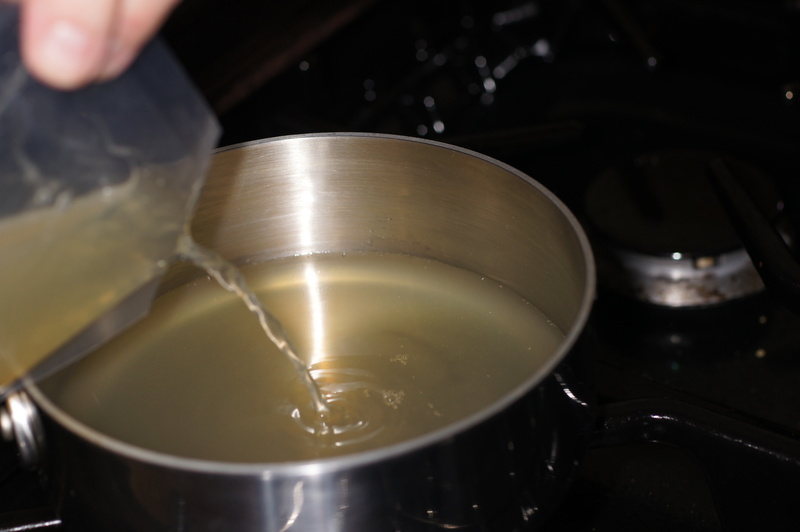 Reduce heat and cook until virtually all of the liquid is gone. Remove from pan and set aside. Roughly 6 minutes prior to removing the chicken from the oven, add 2 Tbsp of the bacon grease to the chef’s pan and add the chopped brussel sprouts. Toss to incorporate and increase heat to high to heat through stirring frequently. Season the chicken thighs with salt and pepper. Heat a heavy bottom skillet (preferably cast iron skillet) over medium-high heat. 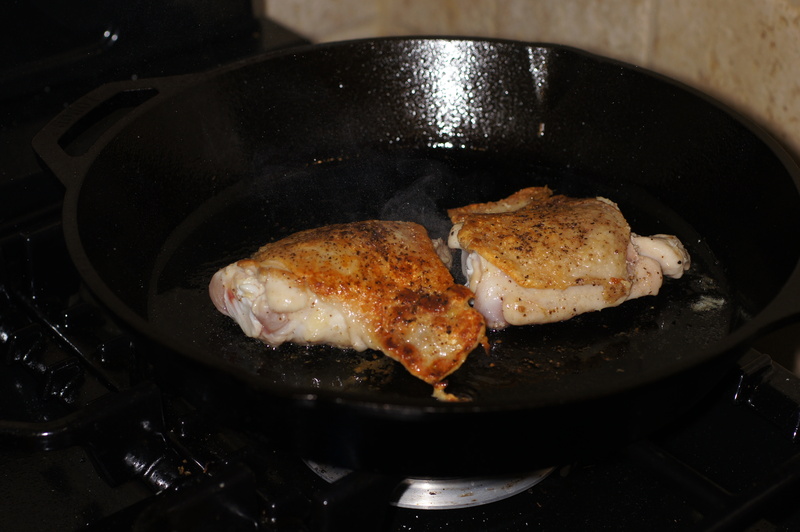 When hot, add the seasoned chicken to the skillet skin side down. Cook the chicken until the skin has browned, roughly 4 – 5 minutes, being careful not to burn it. When done, flip to sear the other side. 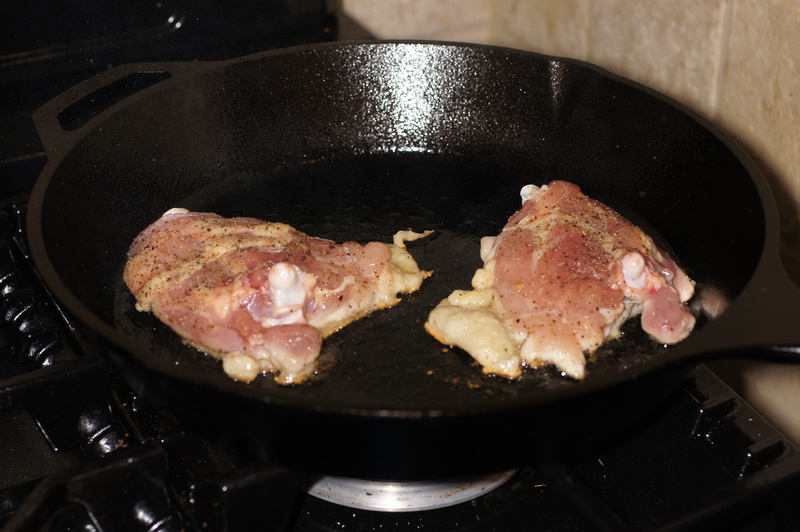 After 2 – 3 minutes, place skillet in a preheated 350 F oven and finish chicken in the oven, roughly 20 minutes. When done, remove from oven and let rest 3 minutes. Add 1 cup of chicken stock to a small saucepan over medium-high heat. 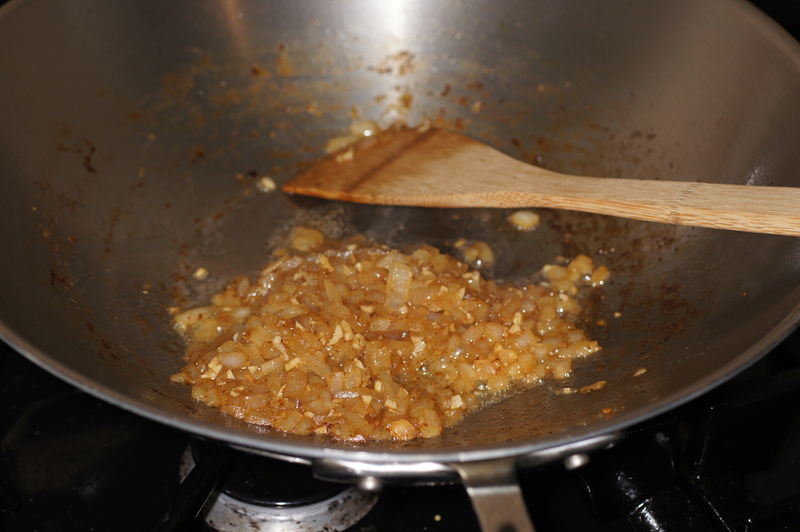 Cook over medium-high heat until reduced to 1/2 cup. 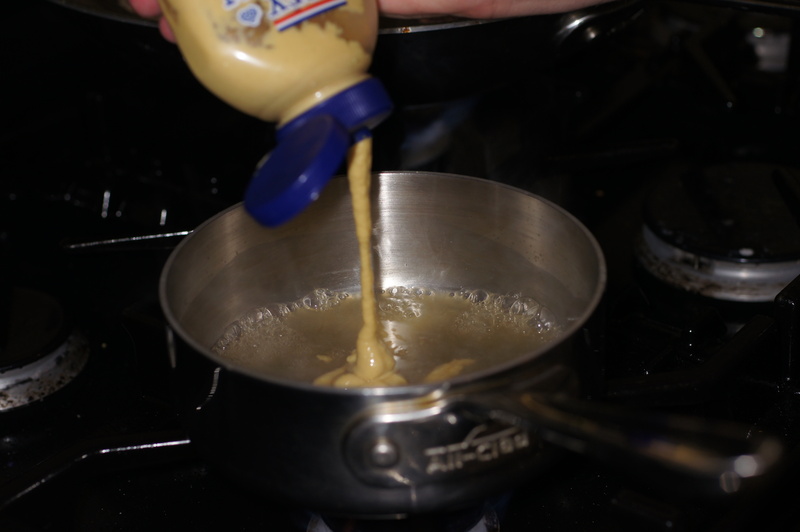 Add 2 Tbsp dijon mustard. Stir to incorporate. 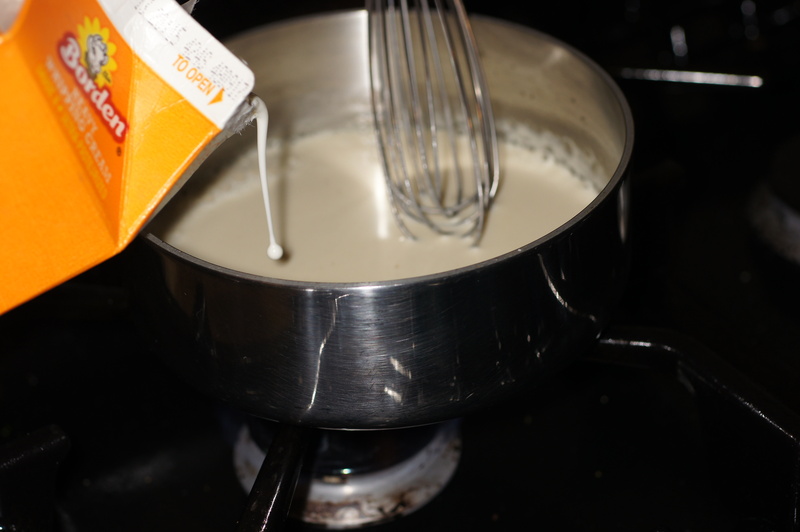 Now, add 1/4 cup of heavy cream. 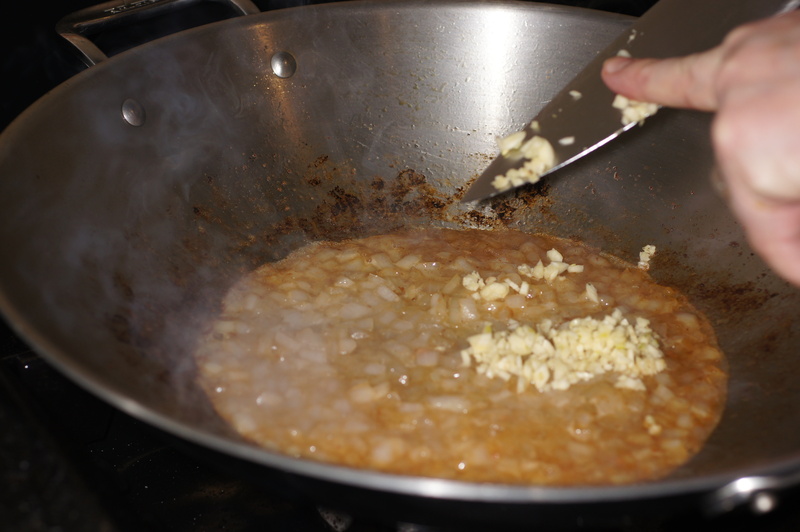 Reduce heat and simmer over medium heat until you reach your desired consistency. 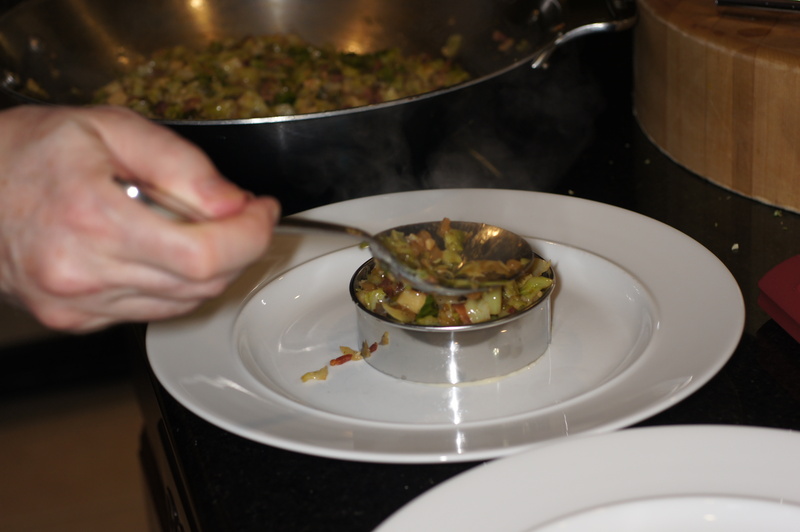 Remove from heat, cover and move to a warm place on an unlit back burner until ready. This looks like my perfect meal. The last picture is gorgeous – you should crop it to a square and submit it to Foodgawker. Thanks for your very nice compliment. 🙂 Foodgawker is sooo picky about their photos, it simply is not worth the effort any more. Agreed, beautiful photo and another delicious recipe…I’m partial to anything with mustard. 🙂 I know we don’t send you anywhere near the traffic that Foodgawker would Richard, but we’re going to keep trying! And we very much appreciate your high standard of photography, and know a good photo is important. But we’re so happy to be able to share your recipes with people who care more about the food they eat than lighting exposure or composition. 🙂 So thanks for sharing with us! Thanks, Patty. We’re always glad you like our food and love submitting our recipes to Chowstalker. 🙂 Insofar as traffic to the site is concerned, Foodgawker has published 3 of 47 photos I have submitted and there is no rhyme or reason to what is accepted. What is overexposed one day is underexposed the next. It all depends upon who is reviewing your photo. We have gotten a total of 265 verifiable hits from Foodgawker, with 200 of them from one recipe (a sandwich). We get, on average, 200+ verifiable hits from Chowstalker. 🙂 So, you may not realize just how many people use your site to find recipes and foodblogs. I’m not a big fan of brussel sprouts and have never had them chopped before. 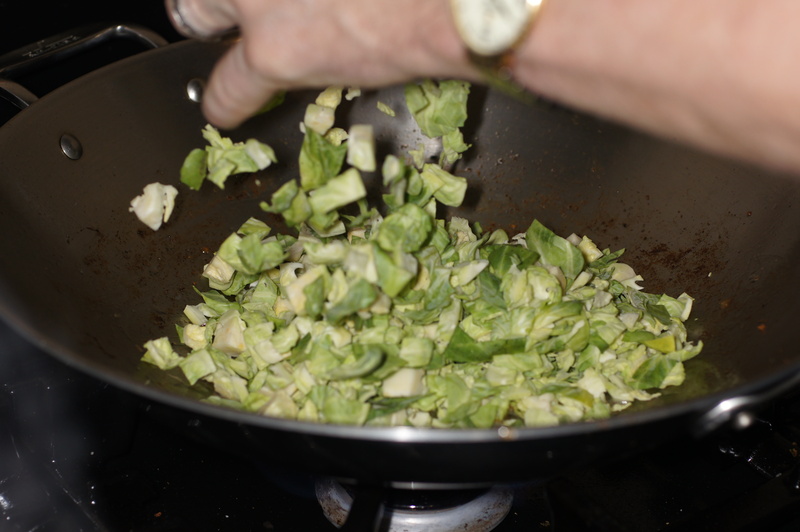 It may be something to try, as the only brussel sprouts I really liked were stir-fried with gravy. Picking the leaves was a LOT of work though. Hi, Stefan. We have a brussel sprout salad, https://remcooks.com/2012/07/24/warm-brussel-sprout-salad-with-blue-cheese/, that uses the whole leaf. You’re right. It’s whole lot of work but it makes a beautiful presentation and is tasty. We like chopping them or shredding them because you can incorporate so much flavor into the brussel sprout in that fashion. Inasmuch as you have a deep fat fryer, you probably should try fried brussel sprouts. American Chef, Michael Symon, makes them at his restaurant, Lola Bistro, in Cleveland. 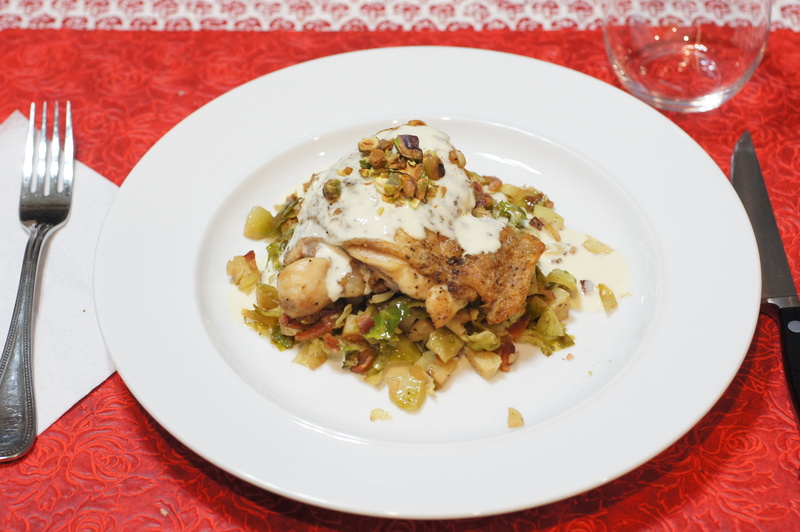 http://www.foodnetwork.com/recipes/fried-brussels-sprouts-with-walnuts-and-capers-recipe/index.html. Supposedly, they are remarkably good. Too right Stefan. I love a good pouring shot, as you know. Richard, I am not a fan of sprouts. I recall gagging on one as a child (a waterlogged, overcooked one) and have had little desire to try them since. However, you are pushing me back towards the edge. I guess I will have to face my fears and I undertake to cook something featuring them between now and Christmas. This looks fantastic, not withstanding the sprouts. 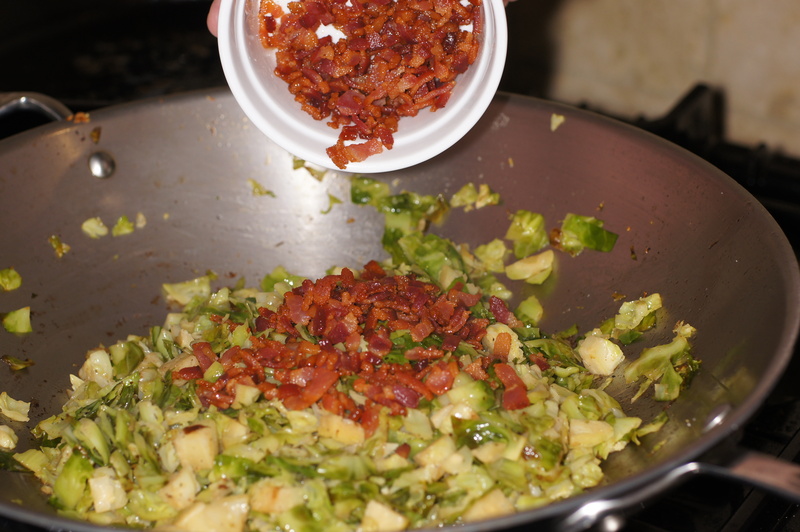 Hmmm, I am thinking sprouts, blue cheese, walnuts and bacon lardons…. 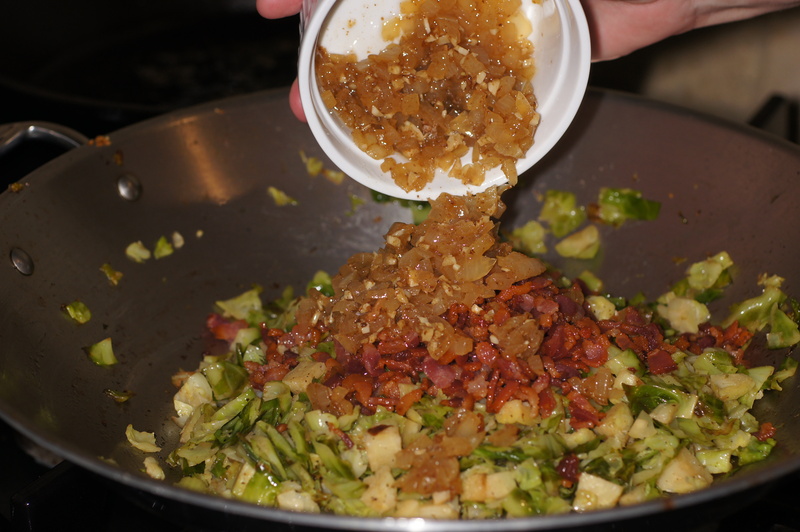 Love brussels sprouts and your hash sounds wonderful as I’m crazy about mustard. Thanks, Karen. These were very good. 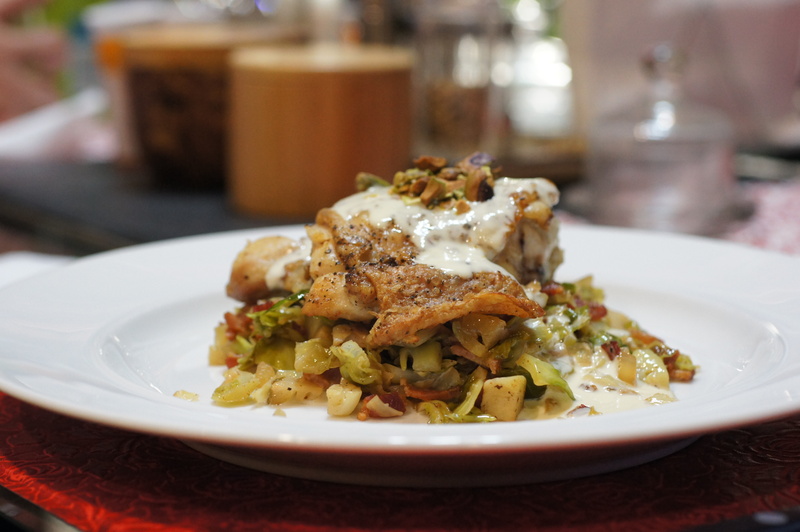 The mustard cream sauce adds just a touch of umaminess to the dish with a little more brightness to add to the vinegar in the brussel sprouts. Ohhh yum! That sounds awesome! 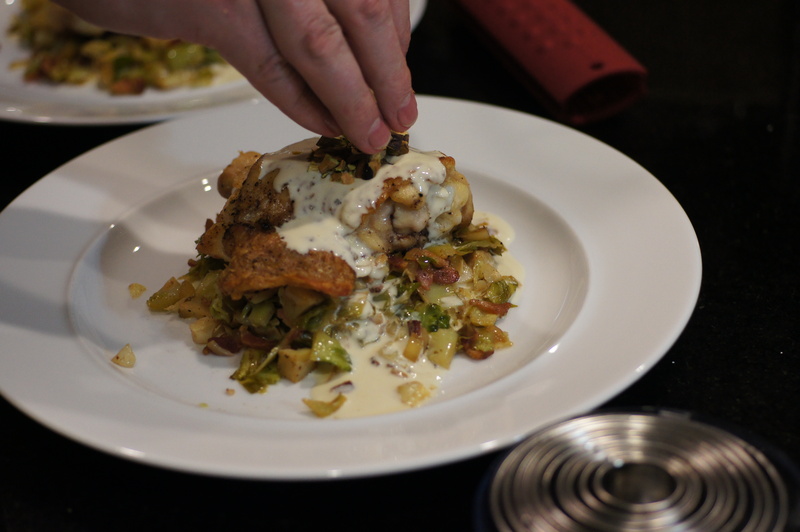 I love brussels sprouts, this veggie most people stay away from but with bacon I am done.Richard you just made it extra special with crispy chicken skin and mustard sauce! 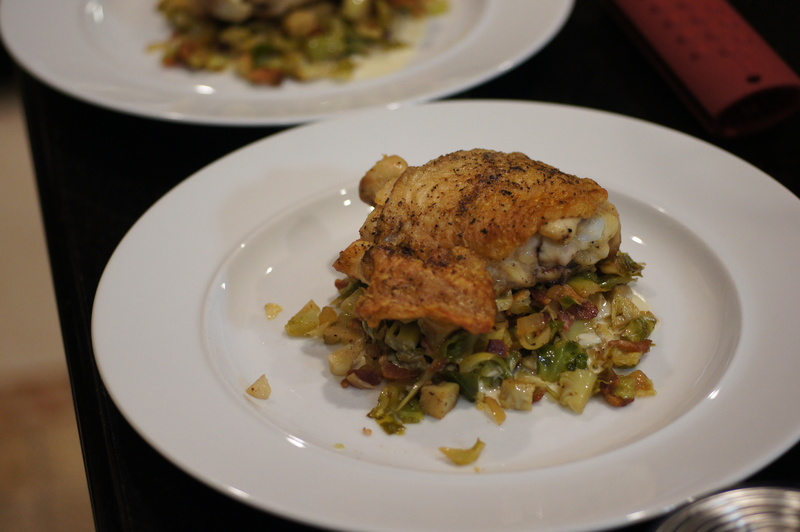 Just last night I prepared brussel sprouts with my dinner and would have gladly given this recipe a try. Love the use of vinegar and the mustard sauce. I guess I’ll just have to buy more sprouts — and that’s a good thing. Thanks, Richard. Hi, John. Glad you like brussel sprouts. This was a fun recipe that came out quite tasty. 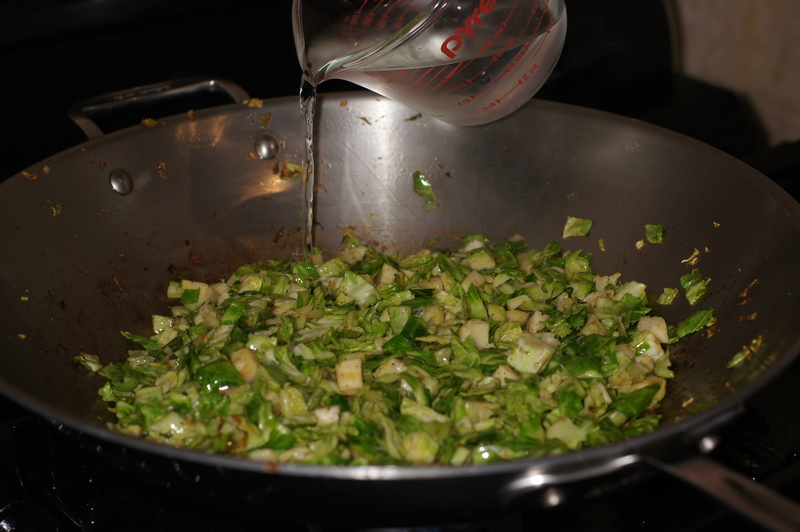 Are you posting your brussel sprout recipe from your dinner? Love a sprouts and the green bulb and I had a good reconciliation a while back, alongside some crispy bacon and onion too. Love! As for deep fried Brussel sprouts, my favourite argentine BBQ joint does a dish with just charred lentils and these deeply dark and smokey sprouts. Incredible! So I can vouch for the tastiness! Hmmm…I don’t know how I missed your comment but I did. 😦 Do you think you can either get the recipe for those sprouts or recreate them on your blog? I would love to see that recipe!